D-TOOLKIT License Plate Recognition (ANPR/LPR) SDK. 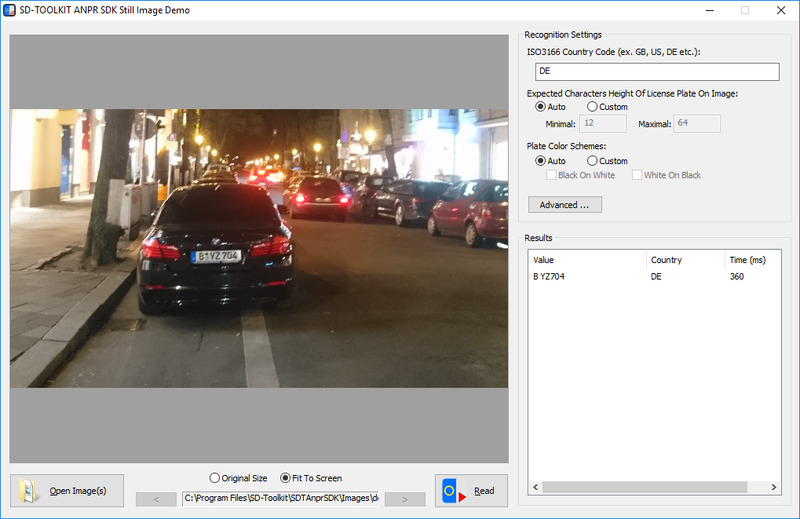 This Royalty free ANPR/LPR SDK for Windows allows you to integrate a license plate recognition functionality into various types of software products. The SDK includes help tools and sample applications with source code.